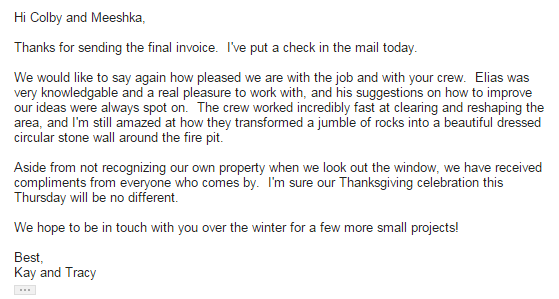 It’s emails like this one from a landscaping client on Bainbridge Island that make all the challenges of owning a small business worth it. This is why we do what we do. Thank you for your business, Kay & Tracey!